will iTunes get the iRadio treatment? The much-rumoured iRadio streaming service will feature an audio version of iAds, Apple's mobile advertising platform, according to the latest reports. 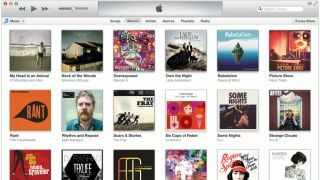 Ahead of WWDC 2013 in San Francisco, where many have speculated that Apple will announce the music radio streaming service, Ad Age has reported that Apple is planning to include "highly targeted [audio] ads" in iRadio. The new audio adverts will be sold via Apple's iAd platform, alongside banner adverts on the streaming service. As details of the streaming service are few and far between until Apple officially announces the thing, it's not clear if all users will be subject to the ads or if you'll be able to sign up for a premium subscription to by-pass them - although we'd imagine the latter. Apple has set up the new advertising platform to be competitive, offering 10% of ad revenue to music rights publishers – 6% more than rival service, Pandora, currently offers. People who also use iTunes and iTunes Match will benefit most from iRadio. They'll be able to purchase songs they're listening to in iRadio, through iTunes, and store them on Apple's cloud – with the added ability to access the songs through any iOS device. Other services like Last FM, Spotify and Pandora also offer free ad-radio, but the adverts aren't targeted like Apple's will supposedly be, which allows Apple to charge more for them and, in return, pay music rights holders a higher percentage.